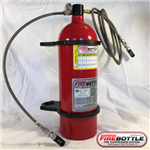 Fire Bottle, the industry leader in fire suppression technology has been helping racers stay safe thru decades of on track experience. This is more than just a fire extinguisher. 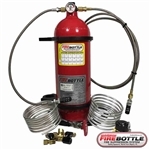 The Fire Bottle suppression system smothers any signs of combustion with a non toxic chemical that will not leave residue. All systems are D.O.T. approved and SFI certified. They are also rechargable. 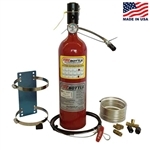 Designed to fit your car, truck, RV, trailer or race car. Stay safe with Fire Bottle!